A few weeks ago we were reading The Very Hungry Caterpillar and made a caterpillar from bottle tops. He’s been sitting in a jar ever since and my 4 year old keeps looking at the jar and telling me how disappointed he is that the caterpillar hasn’t changed into a butterfly. I thought we would make a colourful butterfly and hopefully make my son happy. I covered the cardboard tube with a layer of bubble wrap which was held in place with double sided sticky tape. My son chose a couple of tubes of paint which he squirted in lines on the inside of a lid (this was to contain the paint more than anything). 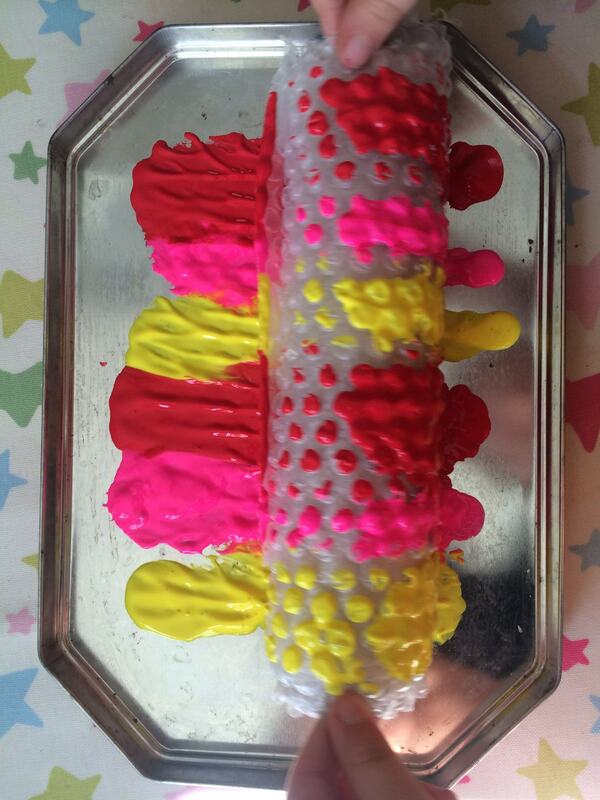 Then he carefully rolled our bubble wrap tube in the paint and rolled it onto the paper. He did this a couple of times. 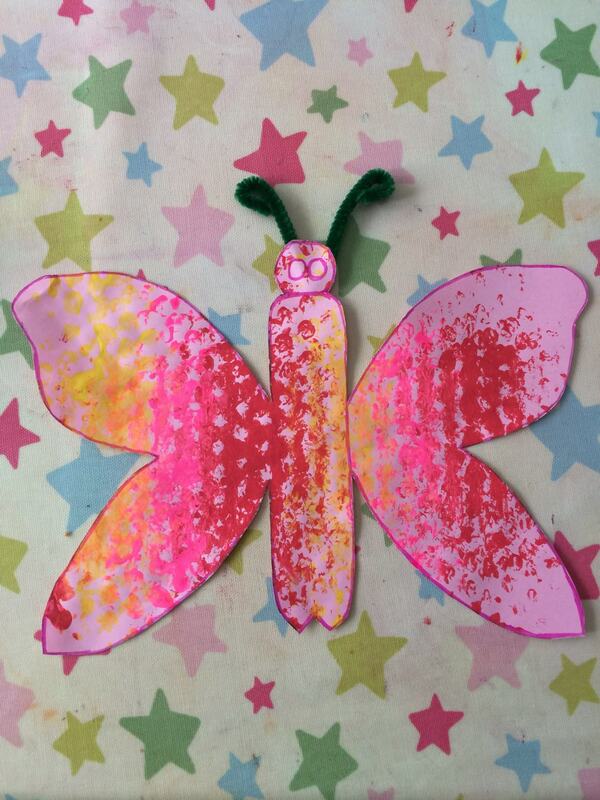 When the paint had dried I drew a butterfly shape on the paper and cut it out , then we taped pipecleaners on for feelers. Thankfully my son loves the new butterfly and his very colourful wings. I think he may have enjoyed printing with bubble wrap too so look out for lots more paintings! I’m so happy I’ve been shortlisted for a BiB in the Crafts category again and would really appreciate your vote here! I love this book, it’s fabulous for little ones. 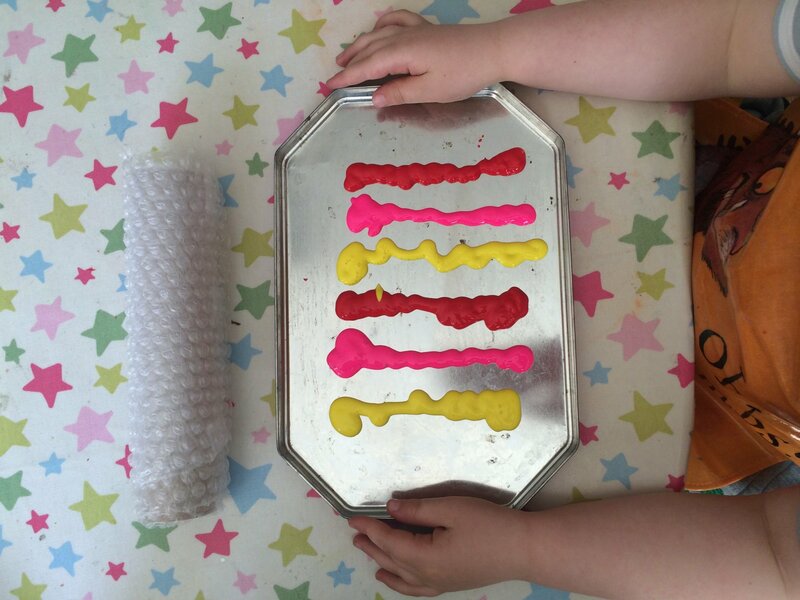 Great colourful craft activity! This is such a wonderful idea and a great way to upcycle bubble wrap. Pinned! We always seem to have bubble wrap in the house…what a great project! I’m going to try this (outside) tomorrow, I’m sure the boys will love it! What a great idea. I always remember learning about symmetry painting a butterfly as a kid. Oh wow what a great idea to use bubblewrap! Have plenty in the house so may try this! Girls would love it. 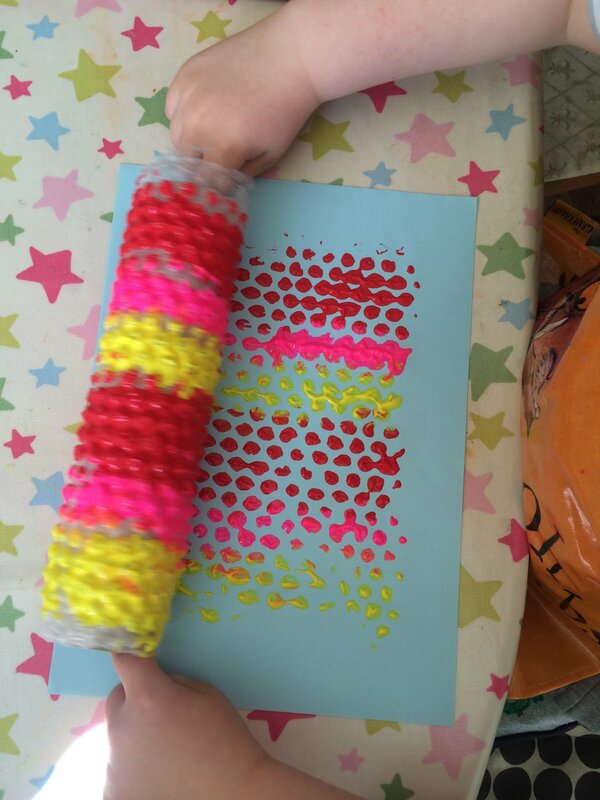 What a great idea to use bubblewrap! We have plenty in the house, may try this as the girls would love it! This is fab! The boys have been making cress caterpillars at nursery so this would definitely float their boats! I like the idea of painting with a bubble wrap. It sounds different.